Hi guys! Another vault manicure this week. My pinky nail is almost at the same length as the rest again...but of course now I have a tear in my middle finger nail! I fixed it witch a silk wrap for now, so it might not be a problem, but I'm getting really annoyed by the fact that my nails get tears so high up. Does any one of you know how this happens and what I can do to prevent it? Please let me know in the comments, I would appreciate it very much! 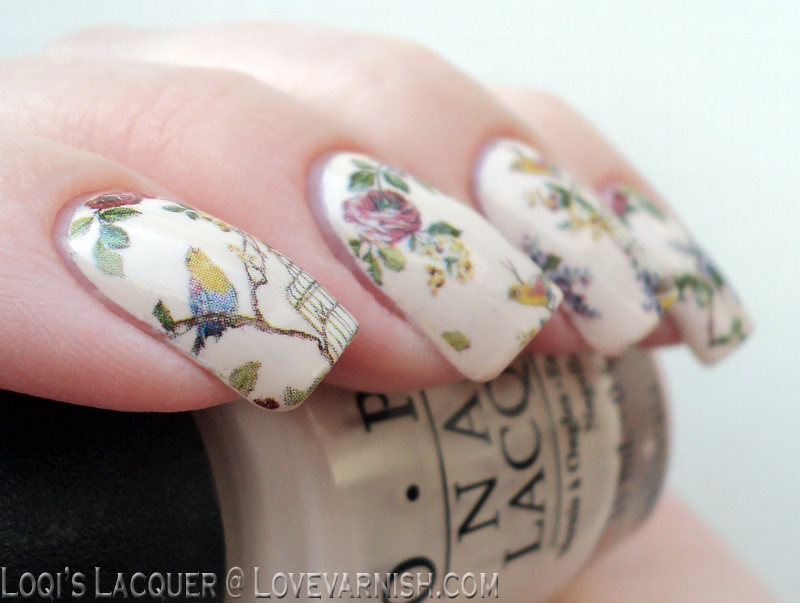 Anyway, on to the manicure! This week I've got a set MILV water decals to show you! I am still very much in love with these decals, but I didn't want to spam you with every single one I've got, so these pictures ended up in the vault. 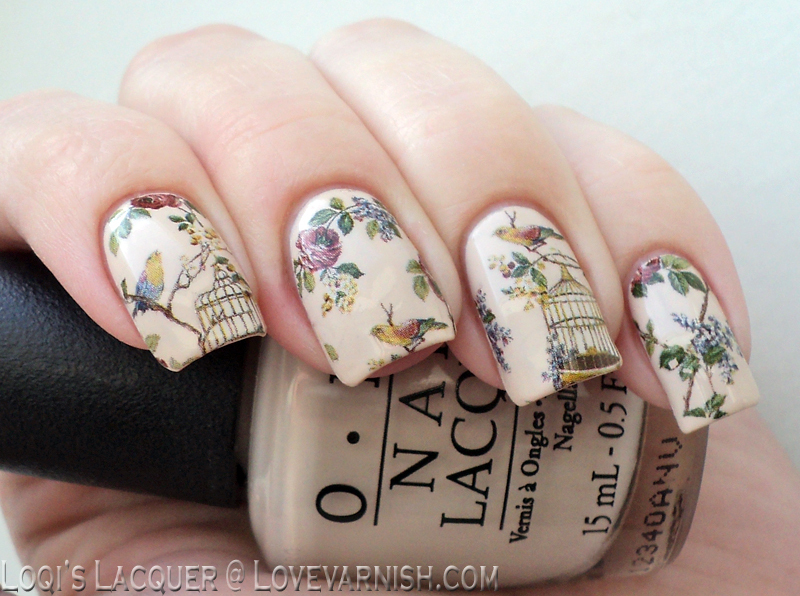 I adored this manicure however, so I am glad I'm able to show you anyway. 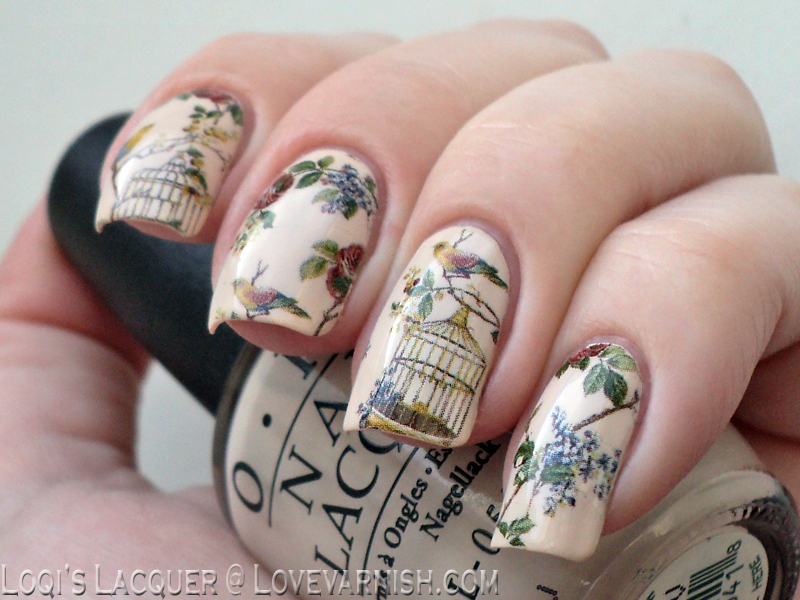 The decals for this manicure are number N122 and they feature a vintage image with flowers and birdcages. Application was very easy and you probably know how it's done by now. If not, or if you want to see the other sets I've posted you can check them out here. For this set I decided to go with OPI My vampire is buff as a base, because I thought the off-white would look great with the vintage pictures. 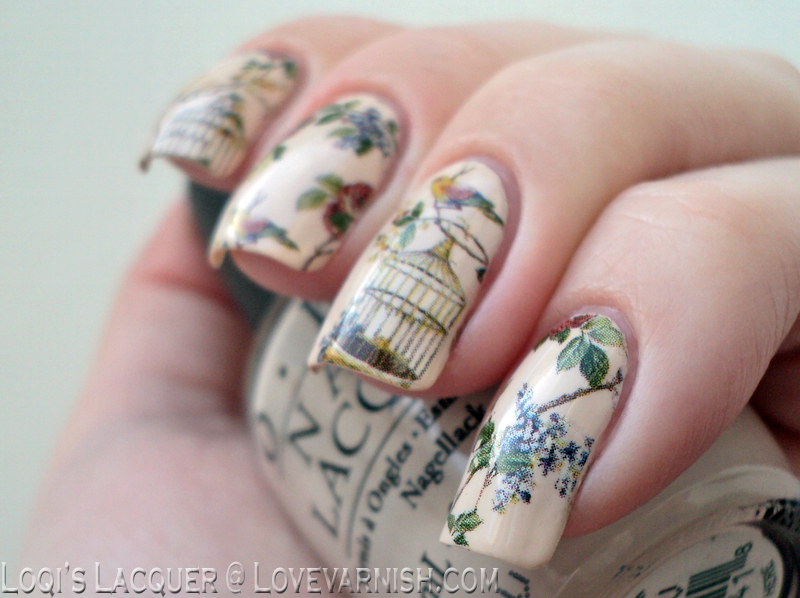 When I wore this manicure I had multiple people tell me the images were really tacky hah! and they are, but I really loved how it looked! I hope you do too, and see you next week!